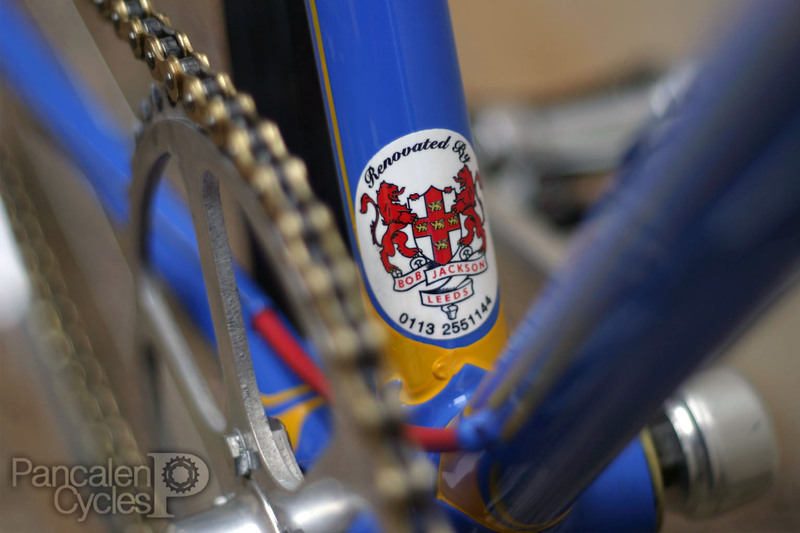 We have a special place in our hearts for British bicycles, especially since we have one in our family for quite a long time. 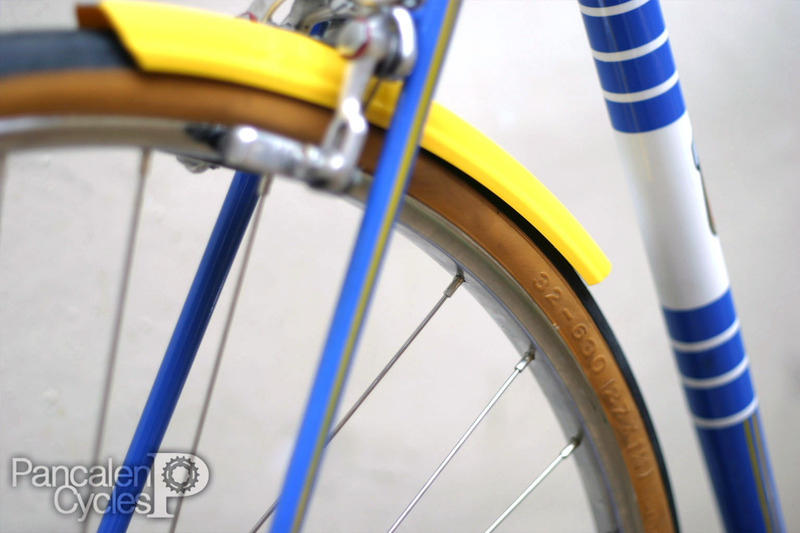 Our brakes are even set in moto-style, proper British way. So when Akmal Haris Rusdi challenged us with a ground up restoration built project, we're really excited. 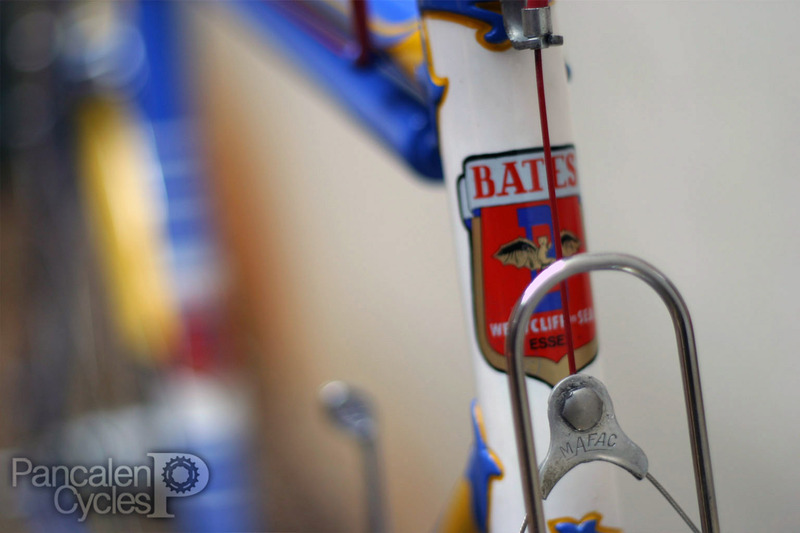 A little history about Bates: the company was set up in 1926 by Horace Bates, and later become one of the most highly regarded of the lightweight British framebuilders. 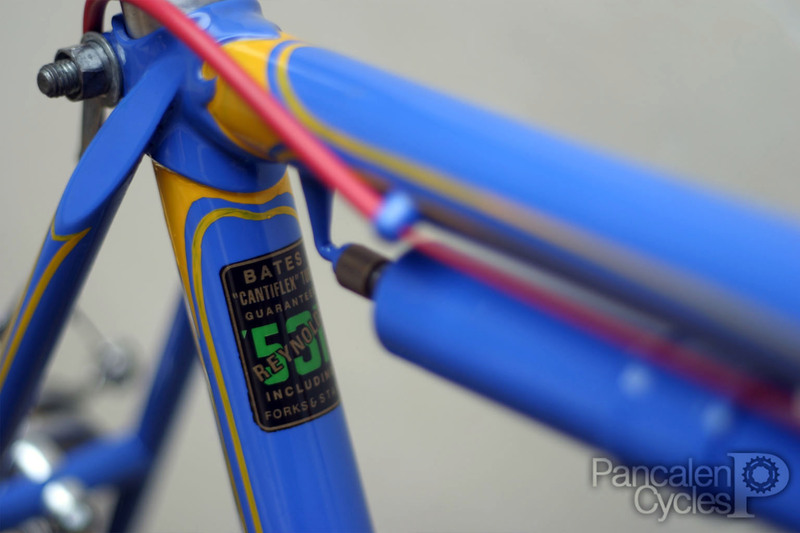 Bates is famous for its distinctive designs that weren't only served as gimmicks but proven to be genuine improvements. 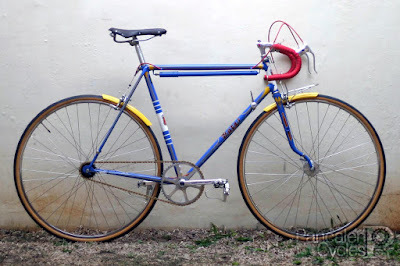 You see, the beginning of the 20th century saw the rise of time trial races on the United Kingdom—backed by the fact that road races are banned by the the National Cycling Union after an accident involving a lady, a horse, and a roadside ditch during a 50-mile race north of London in 1894. As the result of this ban, races are held in such a way to avoid the attention of the local constabulary, where un-numbered racers in black clothes are competing in one-minute intervals, riding plain coloured, unmarked bicycles. 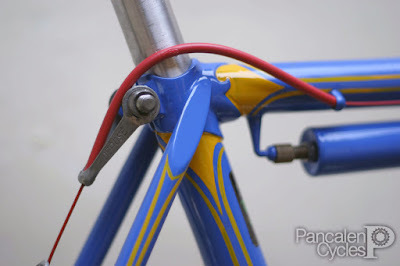 Plain coloured bicycles are not good for advertising, so bicycle manufacturers of the era came up with distinctive shapes to make their frames stand in the crowd: case on point, the bowing seatstays and chainstays of Hetchins frames. While some of these shapes are merely there to distinguish one bicycle manufacturer after another, Bates featured a couple designs that made their frames instantly recognizable while also brought functional advantage to the bicycle. First is how the tubes on the front triangle was shaped. 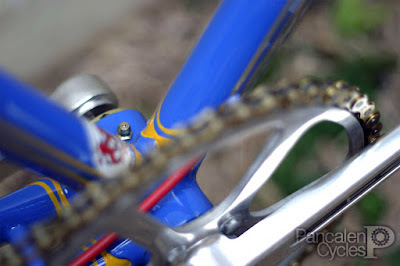 To save weight, racing frames are using thin-walled tubing that leads to excessive frame flex—something that is to be avoided because a whippy frame not only causes handling problems but it also absorbs energy that would be better employed propelling the rear wheel rather than twisting the frame during each pedal stroke. 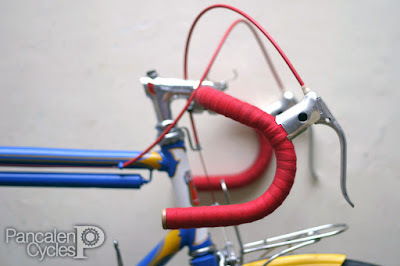 Bates solved this issue by increasing the diameter of the tubing's middle section, while maintaining "standard" diameter on each ends of the tubing in order to suit the dimension of lug joints that were available back then. Look closer and you'll see that the toptube, downtube, and seattube are bulged by around 5-6mm in their middle sections. 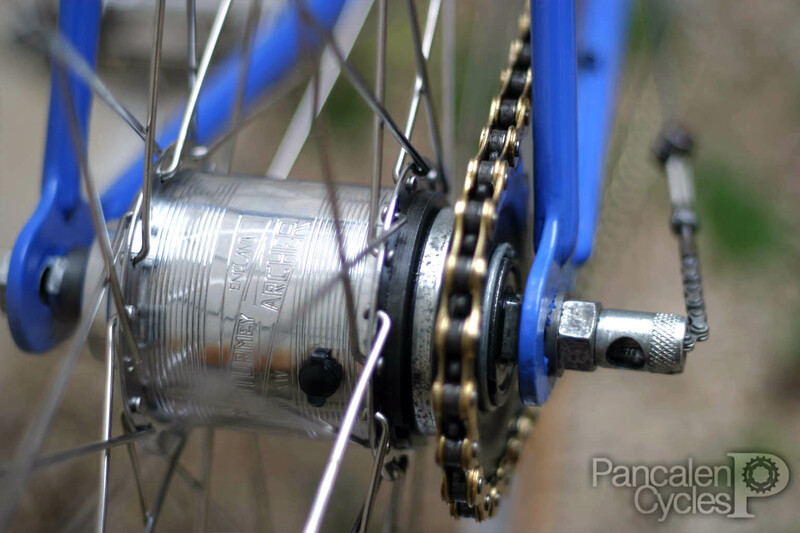 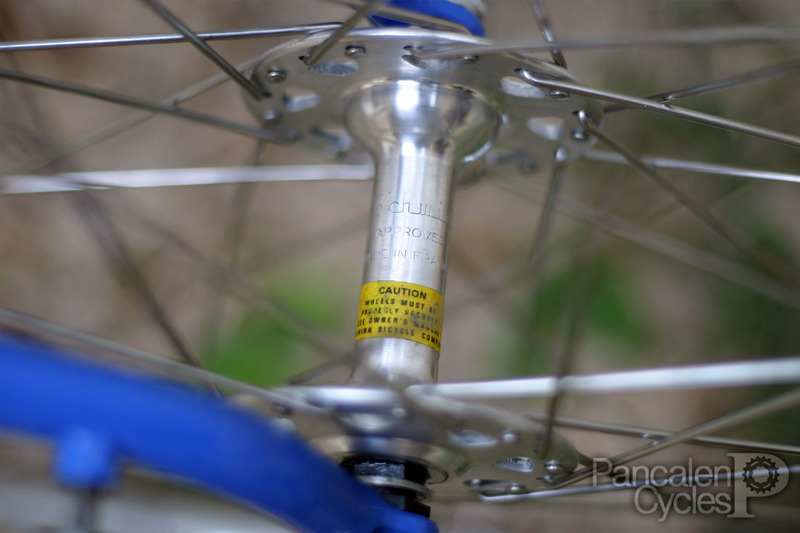 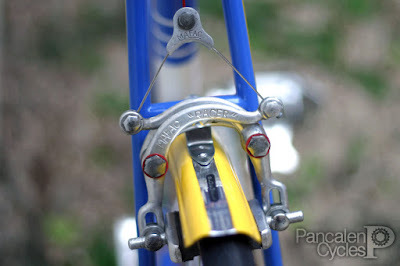 This design was then commissioned to Reynolds to be made out of their 531 steel alloy and is called Cantiflex, and some of you readers might already met with them before. 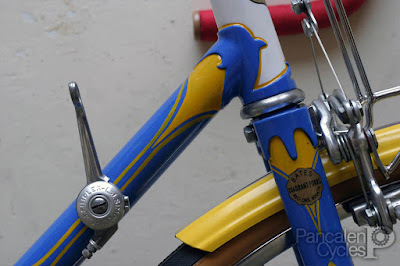 The second distinctive feature is the Diadrant fork. 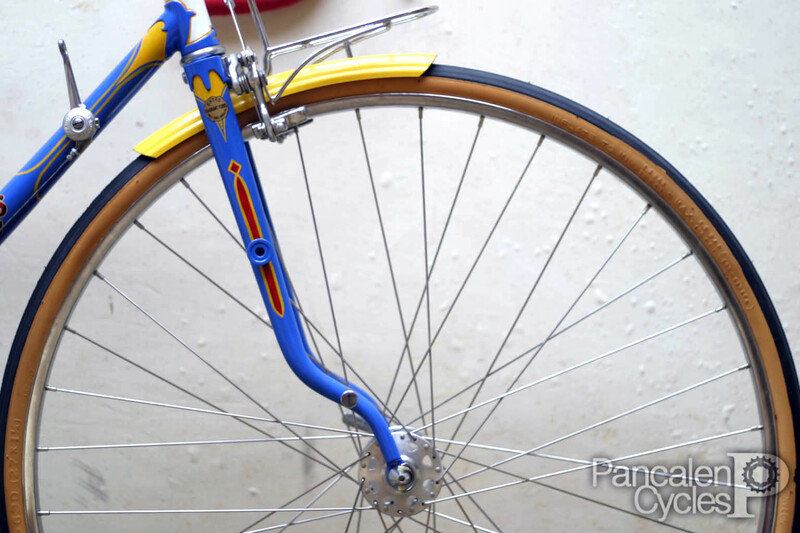 Developed at 1935, about the same time as the Cantiflex frame the idea was to create a straighter fork for a lively feel, but with the addition of an extra curve to help damp out road shocks, which is useful on a frame that is stiffer than the norm. On the lower section of the fork legs and seatstays you'll also find Rigida fender (or mudguard, in proper British) mounts, another Bates exclusive design that allows riders to mount or dismount their fend- um, mudguards without using any tools. Very useful since plenty of working class racers rode their bicycles to the race venue—on the weekends they arrived carrying their racing wheels, swap the wheels over, remove the mudguards and then compete. A pair of pump pegs nods to the daily use nature of this frame as well. 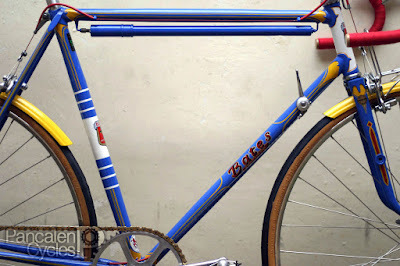 This beautiful Bates is of a Vegrandis model, dated back from 1954. The paint was restored by Bob Jackson in Leeds, then brought to us after being pinstriped by Rio Bronx. Haris wanted to build the Vegrandis as close as possible to the true form—that includes the 27" (ETRTO 630mm) wheels—but with a twist: the Vegrandis will be running a Sturmey-Archer AW3 hub, which presents us a challenge since the gear shifting is to be commanded by a Simplex downtube friction shifter. 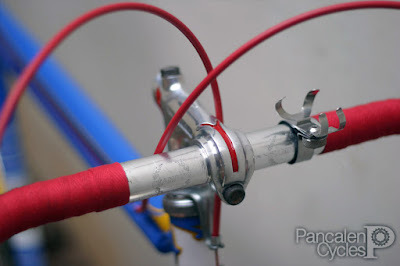 This combination required a mashup between two specific cable ends, something that was surprisingly solved using an anchor nut from a Mafac brake. The front hub is a Schwinn-labeled Maillard, also handbuilt using plain-gauge 14G stainless spokes since the more period-correct 15G spokes are hard to find. 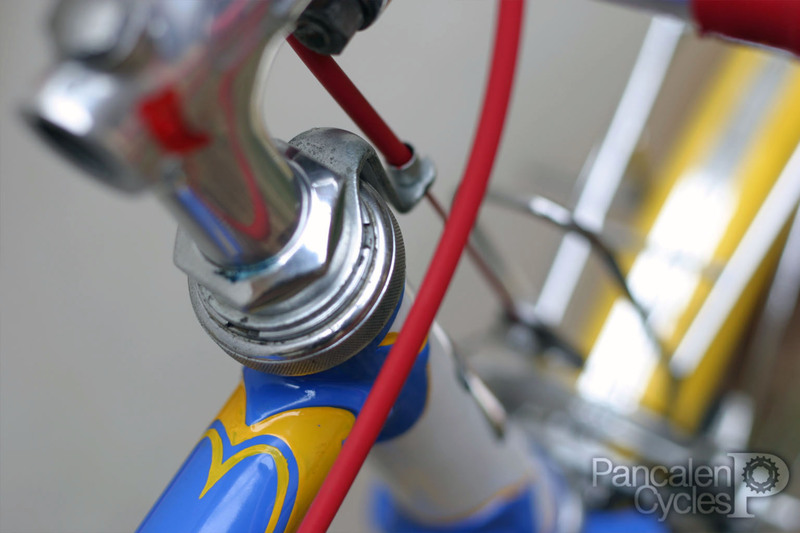 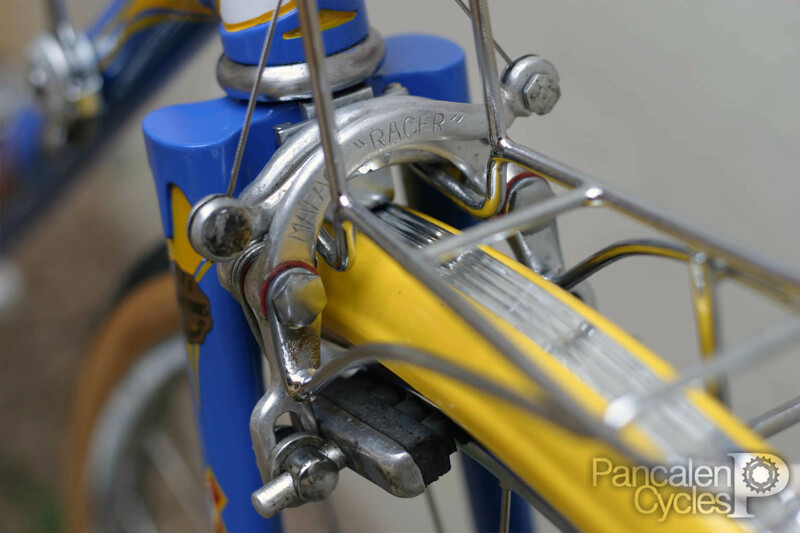 Speaking of Mafac, the French label is also found on the Racer centerpull brakes, controlled by a pair of Weinmann levers. All the brake cables are replaced with new ones, including the straddle cables. 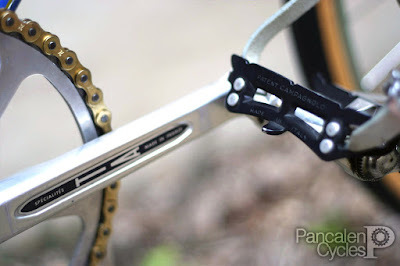 Stopwatch mount. 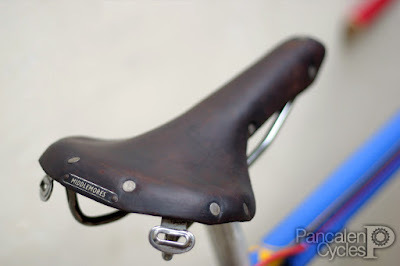 All your Bar Flys can go home now.